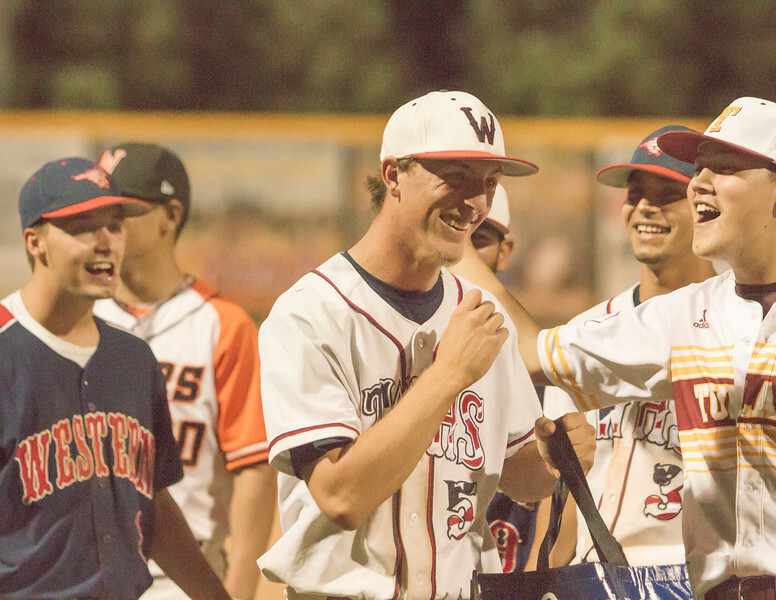 Tulare Western's Wyatt Gilbert reacts to being named the MVP of the 57th Annual East West All-Star Baseball Game. Gilbert pitched 3 scoreless innings, striking out 2. He also had two hits, a single and a triple. and scored a run.